A special backup network that allows communications between government and military agencies to continue during emergencies was "miraculously" switched on the day before 9/11, and so was already operational when the terrorist attacks in New York and at the Pentagon took place. The Special Routing Arrangement Service (SRAS) was, for reasons unknown, turned on for "exercise mode" on September 10, 2001, and was therefore ready to be utilized the following day, when there was a national emergency like that for which it was intended. The SRAS is the responsibility of a little-known government agency called the National Communications System (NCS), which works to keep critical telecommunications functioning during emergencies and played a crucial role in the government's response to the 9/11 attacks, helping to maintain and restore communications networks. Furthermore, the SRAS is related to "Continuity of Government"--a plan that was activated for the first time during the attacks. WAS THE NCS INVOLVED IN A TRAINING EXERCISE ON SEPTEMBER 11? Greene apparently did not tell the 9/11 Commission why the SRAS was turned on for "exercise mode" on September 10. But a possible explanation that needs to be investigated is that the NCS was scheduled to participate in a training exercise on September 11. We know that the NCS was, in 2001, part of the Department of Defense. And several U.S. military agencies are known to have been conducting exercises on the morning of September 11. For example, the North American Aerospace Defense Command (NORAD) was running its annual exercise, "Vigilant Guardian,"  and the United States Strategic Command (Stratcom) was holding its annual exercise, "Global Guardian." Might the NCS have been participating in one of these, or another exercise? Considering that the NCS's Special Routing Arrangement Service had been switched on for "exercise mode" the previous day, and considering the topics that were discussed, might this briefing have been an introduction for a training exercise, perhaps preparing participants for a scenario based around a simulated attack against the telecommunications network? Continuity of Government is a program dating back to the cold war, which aims to ensure that the government will continue to function in the event of an attack on the United States. During the 1980s it prepared for a possible nuclear attack by the Soviet Union, but during the 1990s it focused instead on the possibility of a terrorist attack in the U.S. Considering that the SRAS supports COG by "providing survivable communications linkages to federal and defense end users," it is worth noting that sophisticated communications methods have played an important role in the COG program. In the 1980s, for example, much of its budget of hundreds of millions of dollars "was spent on advanced communications equipment that would enable the teams [involved in COG] to have secure conversations with U.S. military commanders," according to journalist and author James Mann. Considering that the SRAS is intended to support the COG program, it was convenient, to say the least, that it was already operational on September 11 and therefore immediately ready to be utilized by those involved with COG when the plan was activated. The NCS played a critical role following the 9/11 attacks, when the destruction caused by those attacks became what Brenton Greene called "the most significant challenge that the National Communications System had ever seen." In partnership with private companies, it "quickly assembled an unprecedented level of resources at the national, state, and local levels to support the response and recovery efforts." So little has been reported about the National Communications System and the Special Routing Arrangement Service, and the role played by each on September 11, that many crucial questions remain unanswered. For example, what capabilities did the SRAS enable? And what use was made of them on September 11, before, during, and after the attacks took place? Why was the SRAS turned on for exercise mode the day before 9/11? "Memorandum for the Record: Interview of Brenton C. Greene." 9/11 Commission, March 16, 2004. House Select Committee on Homeland Security, The Department of Homeland Security's Information Analysis and Infrastructure Protection Budget Proposal for Fiscal Year 2005: Prepared Opening Statement of General Frank Libutti, Under Secretary for Information Analysis and Infrastructure Protection, Department of Homeland Security. 108th Cong., 2nd sess., March 4, 2004. "Memorandum for the Record: Interview of Brenton C. Greene." David M. Barron, J. M. Hickey, and Dan Bart, Communications: Critical Infrastructure and Key Resources Sector-Specific Plan as Input to the National Infrastructure Protection Plan. Washington, DC: Department of Homeland Security, May 2007, p. 106. "Conversation With Major General Larry Arnold, Commander, 1st Air Force, Tyndall AFB, Florida." Code One, January 2002; 9/11 Commission, The 9/11 Commission Report: Final Report of the National Commission on Terrorist Attacks Upon the United States. New York: W. W. Norton & Company, 2004, p. 458; William M. Arkin, Code Names: Deciphering U.S. Military Plans, Programs, and Operations in the 9/11 World. Hanover, NH: Steerforth Press, 2005, p. 545. Joe Dejka, "Inside Stratcom on Sept. 11 Offutt Exercise Took Real-Life Twist." Omaha World-Herald, February 27, 2002; Joe Dejka, "When Bush Arrived, Offutt Sensed History in the Making." Omaha World-Herald, September 8, 2002. Dan Verton, Black Ice: The Invisible Threat of Cyber-Terrorism. Emeryville, CA: McGraw-Hill/Osborne, 2003, pp. 135-139. CBS News, September 11, 2001; James Mann, "The Armageddon Plan." The Atlantic, March 2004; Howard Kurtz, "'Armageddon' Plan Was Put Into Action on 9/11, Clarke Says." Washington Post, April 7, 2004; "Worst Case Scenario: Secret Plan to Control U.S. Government After an Attack Went Into Motion on 9/11." ABC News, April 25, 2004; Andrew Cockburn, Rumsfeld: His Rise, Fall, and Catastrophic Legacy. New York: Scribner, 2007, pp. 84-88. Jane Mayer, "The Hidden Power." New Yorker, July 3, 2006; Jane Mayer, The Dark Side: The Inside Story of How the War on Terror Turned Into a War on American Ideals. New York: Doubleday, 2008, p. 49. Richard Clarke, Against All Enemies: Inside America's War on Terror. New York: Free Press, 2004, p. 8; 9/11 Commission, The 9/11 Commission Report, p. 38. "Worst Case Scenario: Secret Plan to Control U.S. Government After an Attack Went Into Motion on 9/11." Dan Verton, Black Ice, p. 136; "Background and History of the NCS." 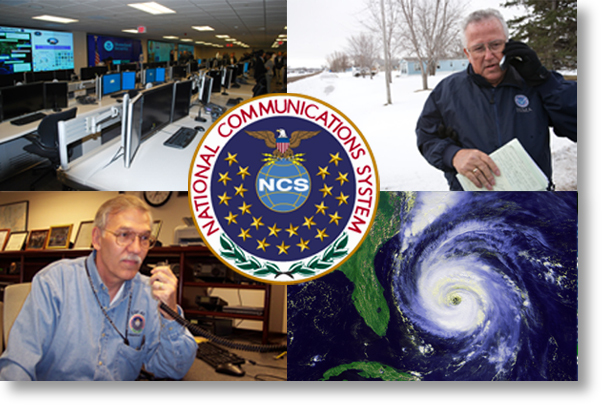 National Communications System, n.d.
 Dan Verton, "At NCS, the Focus is on Telecom Preparedness." Computerworld, November 7, 2002. Dan Verton, Black Ice, p. 151. 40th Anniversary: Forty Years of Service to the Nation: 1963-2003. National Communications System, 2004, p. 56. Dan Verton, Black Ice, pp. 150-151; see also "'Deaf, Dumb, and Blind': Were Communications Sabotaged on 9/11?" Shoestring 9/11, October 19, 2007. Here is yet another addition to the huge and growing pile of unlikelihoods and coincidences that implicate elements within the US government/military in premeditated mass murder. How much more information that points towards 'inside job' will it take to reach the tipping point, or critical mass, re. the awareness of the general populace? bloggulator on Mon, 01/10/2011 - 2:42pm. Another great blog entry - thanks. If you can, please send me your name so that I can reference a real person if I reference these articles. Kevin Ryan on Mon, 01/10/2011 - 3:24pm. Another coincidental exercise. So, the SRAS run by NCS was operational on 9/11- and Greene says it was "miraculous", as if it actually helped communication on 9/11- but communications were screwed up for many on 9/11 who were attempting to respond/defend the nation- so who did it help? Yet another reason to look at the major COG players- as Shoestring's article notes, Cheney, Rumsfeld, Addington, Clarke. loose nuke on Mon, 01/10/2011 - 3:37pm. Yet another reason to look at the major COG players ... Cheney, Rumsfeld, Addington, Clarke. It certainly is. These men seem to me to be four very suspicious--and dangerous--individuals, so keep an eye out for any new information about their actions on September 11. I would also be interested to know who else was involved in the COG program at the time of the 9/11 attacks. Shoestring on Tue, 01/11/2011 - 11:29am. SRAS turned on for "exercise mode"
RL McGee on Mon, 01/10/2011 - 6:14pm. kdub on Mon, 01/10/2011 - 6:22pm. I've never heard that name in connection with 9/11 studies. Are you sure you don't mean Montague Winfield? JTL on Tue, 01/11/2011 - 7:17am. I didn't realize until searching further that his full name is actually "W. Montague Winfield." So maybe his first name is "Winston," though I wasn't able to confirm this. JTL on Tue, 01/11/2011 - 7:51am. Montague Winfield, sorry. I couldn't edit after the person responded to me. I would like to compile a video called "September 10, 2001: The Day Before 9/11"
RL McGee on Wed, 01/12/2011 - 1:31am. Also on the evening before 9/11, the U.S. military lowered its "Infocon" threat level to the lowest possible level. See my previous blog posting, "U.S. Military Lowered Its Computer Security Level the Night Before 9/11." Shoestring on Tue, 01/11/2011 - 11:23am. The main perps were untraceable, but could contact themselves- while others had to stay out without infos! As I remember, the 9/11 commission was denied access to presidential telephone logfiles.This makes sense. If COG was activated and 9/11 an inside job. Sitting-Bull on Tue, 01/11/2011 - 4:20pm. Cheney replies, “The [communications] in this place are terrible.” His calls to President Bush keep getting broken off. Sitting-Bull on Tue, 01/11/2011 - 4:42pm. This is why the first two print reviews of The Road to 9/11, both favorable and intelligently written, both reported that I speculated that COG had been imposed on 9/11. No, it was not a speculation: the 9/11 Commission Report twice confirms that COG was instituted on the authority of a phone call between Bush and Cheney of which they could find no record. No record, I did speculate, because it took place on a secure COG phone outside the presidential bunker – with such a high classification that the 9/11 Commission was never supplied the phone records. “The 9/11 crisis tested the U.S. government’s plans and capabilities to ensure the continuity of constitutional government and the continuity of government operations. We did not investigate this topic, except as needed to understand the activities and communications of key officials on 9/11. The Chair, Vice Chair, and senior staff were briefed on the general nature and implementation of these continuity plans. The other footnotes confirm that no information from COG files was used to document the 9/11 report. At a minimum these files might resolve the mystery of the missing phone call which simultaneously authorized COG, and (in consequence) determined that Bush should continue to stay out of Washington . I suspect that they might tell us a great deal more. Sitting-Bull on Tue, 01/11/2011 - 4:52pm. "perhaps preparing participants for a scenario based around a simulated attack against the telecommunications network?" ...which would presumably give key members of the continuity government the perfect excuse to use secret 100% traceless communication channels that the normal channels would not provide? Virginia Plain on Thu, 01/13/2011 - 9:25am. Joe on Thu, 01/13/2011 - 4:46pm. How many well-established, non-deniable exercises? How many well-established, non-deniable exercises were going on during the morning of September 11th? I understand that there were many, but I need to make better notes. I've always thought that the exercises going on simultaneously with the attacks are one of the strongest pieces of evidence. Especially the anti-hijacking exercise, of which we know too little. Vesa on Fri, 01/14/2011 - 2:09am.